The braiding ninjas on YouTube may make braiding your own hair look seamless, but for those of us with less-than-stellar skills, it can be hard enough to do a traditional side braid. To make braiding your own hair easier (and less intimidating) we sought the help of experts, or “braidologists” as we like to call them, to offer up their must-know tricks. Your next bad hair day will surely thank you. 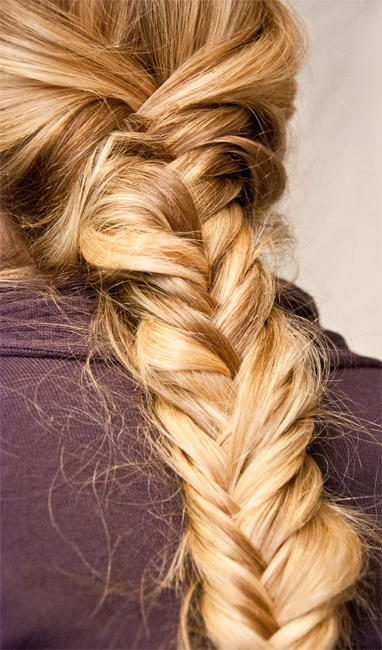 The secret to perfect the messy braid is to first create a perfectly structured braid. “You want to start with the braid more secure and clean, and once done, you can pull and stretch the braid as desired, pulling our random hairs, loosening and roughing up the texture a bit,” says Magallones. *This story was originally published on WomensHealth.com by Shannon Farrell.